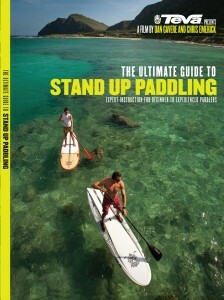 The best and most complete “how to” SUP DVD video ever released. Stand Up Paddle Instructor Dan Gavere teaches skills such as getting up on the board for the first time and taking your first strokes. Learn the fundamentals of the foward and turning strokes to make your day on the water more fun. We will introduce to some of the disciplines of the sport and teach you the basics to get you out having fun in the waves and whitewater. Buy both DVD’s The Ultimate Guide to Stand Up Paddle and Standup Paddle Fitness w/ Nikki Gregg at a special discounted price!